GoGo squeeZ® has issued a voluntary recall on specific applesauce pouches that may not meet quality standards. They found food product residue in two product pumps in one of their factories during an inspection by the Michigan State Department of Agriculture and Rural Development (MDARD). No illnesses connected to this issue have been reported. While it is possible the food product residue may have been incorporated into finished product, they test the applesauce extensively, and at this time, they have not seen evidence of this in their pouches. Consumers who have purchased GoGo squeeZ® applesauce pouches with Best Before Dates between 12/4/15 and 3/4/17 can contact us at 1-844-275-5841 or visit www.gogosqueez.com to request a replacement voucher. For instructions on how to identify affected products, please visit: http://bit.ly/1RtHHe0. Please note that this GoGo squeeZ applesauce recall does not include or impact GoGo squeeZ Organic products or our newly launched GoGo squeeZ YogurtZ®. Production of the GoGo squeeZ® applesauce pouches has been suspended while they work with MDARD officials to continue their investigation. So, before packing those lunches or grabbing a snack, check your applesauce and identify whether or not you have the recalled item! Hey ladies, Whitney here. I thought for this little post I would share my letter to my Santa, but really, it’s my tribute to all you Baton Rouge moms who have been filling those boots each year and for years to come. You see I want to make sure I leave both of them with very important lessons in this life. So this is my ask, Santa, help me give them a mom for Christmas. You see just like you, all year I am convinced they see me when I am sleeping and when I am awake. They know when I have been bad or good. They know and see all. So there’s some things I am going to need from you because, let’s face it, they are watching and copying my every move. I know you have given me these things before. You give them to me everyday, Christmas or otherwise, but I am a real live mom now, and I need my Santa this year more than ever. It’s a long list, but I think it’s worth it. I would like to teach my girls that being brave will not always come with a big win. It often comes with great disappointment but even greater life lessons. So Santa, I am going to need a little BRAVERY. I would love my girls to have patience for each other and humans in general. Humans are a frustrating kind. So Santa, I am going to need PATIENCE. I want my ladies to know that manners will take them farther than anything in this world. I want them to know that napkins still belong on laps, ankles crossed, and that you can still be unique AND polite. So if you could, make sure my pinky is up when I drink my Franzia Chillable Red? No but really, can you make sure I stay on my MANNERS game? I have the best mom (see what I did there, Santa?) and the most okay-est brother (love you Cam!) ever, but even they would say that family is not always what you are born with, but sometimes the one that shows up in a car on the way home from college. That family can be where your strength comes from in the darkest of days, that’s the village it takes to survive this world and raise a family. Santa, help me build my VILLAGE. Let’s talk, Santa. I feel like you can relate. You know the day after Christmas after all those cookies? I imagine your body changes. Imagine nine months of cookies and then birth and then still really liking cookies. I really still like cookies. My body is not what it used to be. I am one of the most confident girls you’ve ever delivered gifts to, but this year my pants don’t fit the same. I want my girls to grow up with the confidence to look in the mirror when their body completely fails them and say, “I got this!” or “Who is that beauty looking back?” So Santa, can you send a bit of your CONFIDENCE down my way? I hope this isn’t asking too much. You have been good to me over the years. You always ate my cookies, and the note you left me on my magna-doodle back in 1994 didn’t go unnoticed. I always appreciated that you brought the apple up to the reindeer even though you had places to get, going up and down our chimney twice must have been tough. So thank you. I can’t promise this will be my last letter to you, but I can promise your grace and your magic through the years never went unnoticed. As moms, we often put the needs of our families in front of our own. But we must remember, to care for our family, WE need to be healthy! And that means being on guard against cancer. An estimated 232,340 new cases in women and 2,240 new cases in men of invasive breast cancer are expected to occur in the U.S. during 2013. Breast cancer is second, only to lung cancer, in cancer deaths among women in the U.S.
About 39,620 women and 410 men in the U.S. are expected to die from breast cancer in 2013. There is not any official study that proves that breast surgery (הגדלת-חזה) leads to cancer of any sort or prevent it either. One case of breast cancer is diagnosed every two minutes, and one woman will die of breast cancer every 13 minutes in the U.S.
African American women have higher rates of distant stage breast cancer than white women and are more likely, in the U.S. to be diagnosed with larger tumors than white women. Although men are diagnosed at a much smaller rate than women, their chances for being diagnosed with breast cancer also increase with age. In fact, most cases of breast in men occur between the ages of 65 and 67. There are 2.9 million breast cancer survivors alive in the U.S. today – the largest group of all cancer survivors. About 80-90% of breast cancers in women without symptoms in the U.S. will be detected by mammography. Only 53% of women 40 and older in the U.S. reported having a mammogram in the last year. Throughout the month of October, National Breast Cancer Awareness Month, Mary Bird Perkins is also partnering with local schools, organizations and businesses to raise awareness and funds to fight cancer in our community. Go to http://www.mbpolol.org/geaux-pink for a list of upcoming events and promotions that benefit #GeauxPink. Visit one of the participating retailers or restaurants to show your support. It’s never been easier to give back! Starting today, individual events will be taking place around town to support #GeuaxPink, including Style Encore, Bistro Byrons, Canes, Santa Fe and more! Almost 8 and half years ago, I joined the legion of parents to kids who are differently-abled. While it may not be the legion I would’ve chosen for my 26 year old self, I wouldn’t want to be anywhere else now. On this journey I’ve learned more than I ever could’ve imagined and am still learning daily. One of the biggest lessons I’ve learned (and am still working on) is balance. How do I manage my son being a kid and his physical needs? His medical needs and his social needs? His academic needs and his appointments? Being a mom and a therapist and advocate? And above all I’ve had to learn to find myself again. I feel like most days, I do well. Some days all I do is therapy and send email after email to get what my son needs and deserves. Over 8 years, I learned the ins and outs of what is worth fighting for and what is worth letting go. One of our recent adventures involved recasting our son’s recurring club feet. 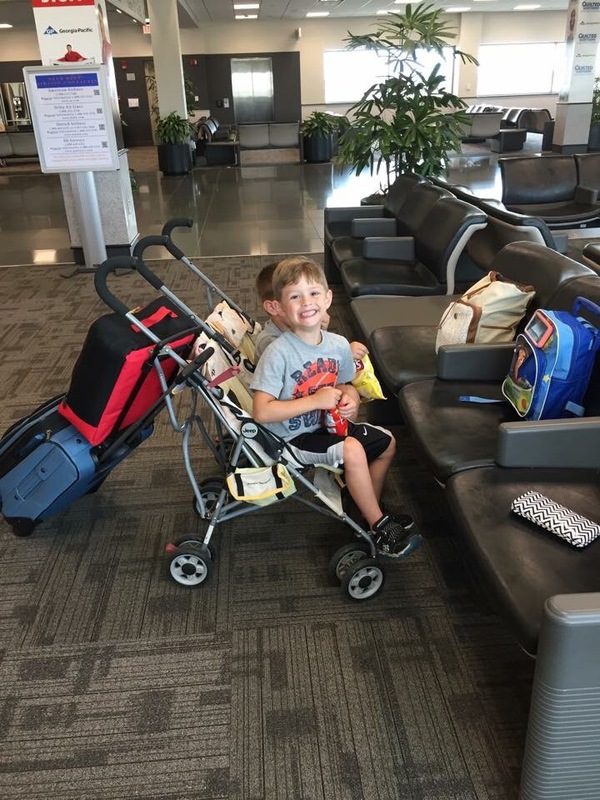 His diagnosis (Arthrogryposis Multiplex Cogenita) is not regressive, but as he grows, muscles tend to want to go back where they were at birth. We saw the doctor right before we left for vacation in Florida and decided we would wait to cast until we got back. No one wants to go to the beach in casts, we had the most amazing vacation this year, my husband and I decided to contact twiddy and we couldn’t have been more satisfied with our decision, our vacation was a total success. Balance: being a kid and medical needs. We casted for 2 weeks and when we took them off, his feet looked great, could we have gone another 2 weeks and gotten more…absolutely! However, we have another family trip planned and when we cast, we have to bend his knees (we had major surgery to straighten them out) and getting them back straight requires lots of stretching and is uncomfortable, so we decided to brace again. Plus, school starts soon. Balance: being a kid, educational and medical needs. I’m thankful for a team of doctors, therapist and a husband who fully supports my decisions. They see the value in balance. Baton Rouge moms rush ahead to open the door for you when you’re manning an unwieldy stroller. Baton Rouge moms smile at cranky babies. They offer encouragement in the checkout line at Albertson’s when your two boys are acting like wild hooligans. They tell you it’s going to be alright, and they know what they’re talking about because they were once where you are and they lived to tell about it. Baton Rouge moms offer you a glass of wine or a cup of coffee when you come over. Sometimes they’ll offer you both, because it’s not quite morning, but it’s not quite noon, and it’s been a rough day already. Baton Rouge moms knock on your window to tell you that you left a sippy cup on top of your car. Baton Rouge moms chase you down in the middle of the mall to hand you a missing shoe or a dropped lovey. They tell you “It’s alright, I have one at home too” when your oldest child stomps his feet and screams “YOU’RE MEAN!” in public. They stop you in Target or on the playground to tell you that your tag is sticking out of the back of your shirt. Baton Rouge moms know how to cook. But if they don’t feel like cooking, they also know how to order enough food to feed everybody, because Baton Rouge moms love to eat. Baton Rouge moms don’t care what you look like, where you come from, or what you wear. Baton Rouge moms care who you are. What do you love about Baton Rouge moms? Getting rid of the extraneous things in your life and around your home has it’s advantages. It’s a great feeling to know you’re getting rid of items that are not being used, collecting dust or simply in the way. If you haven’t purged the clutter in your life, give it a try. 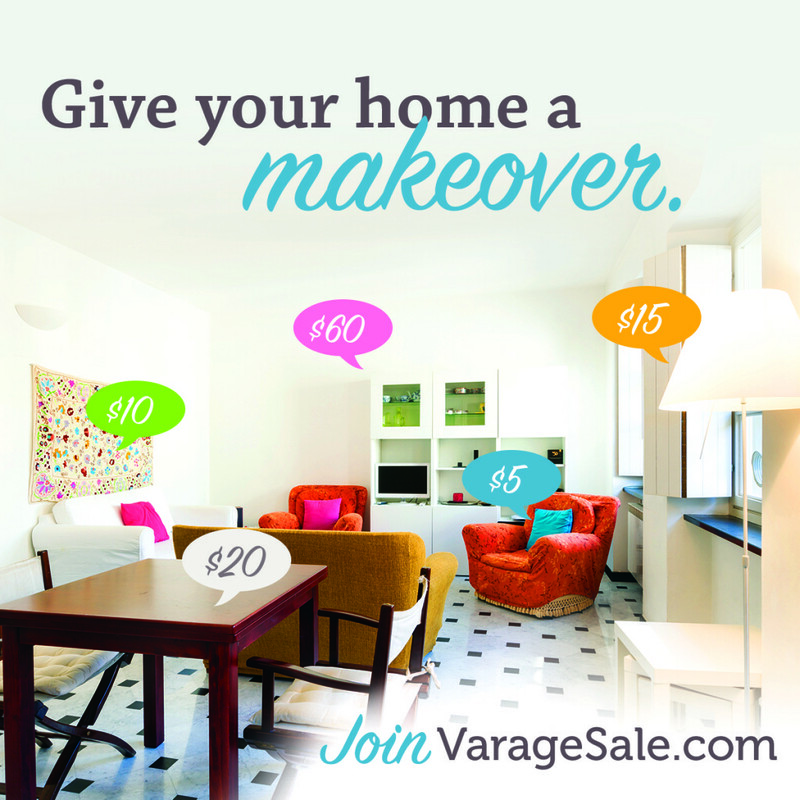 With Varagesale you can declutter locally, easily and safely while earning cash! A little Lagniappe for a your pocketbook never hurts! What kinds of things can you sell on VarageSale? VarageSale is pre-accepting members now! Take a peek in the community, poke around and list your items for sale before the official launch next week. As an early bird you will have exclusive access to the early bird sale starting Sunday, May 3 at 7PM until Tuesday, May 5 at 7PM where they’ll be dropping in heavily discounted to FREE items such as diapers and toys! Not to mention, each listing you place in the Baton Rouge or Denham Springs VarageSale community is an entry into their Disney on Ice Family Four Pack Giveaway! Each community will give away a Family Four Pack to Disney’s Frozen on Ice! What are you waiting for? Visit the website or download the free app and pre-register now to get exclusive access to the 48 hour preview sale and join the fun early. See you there! !